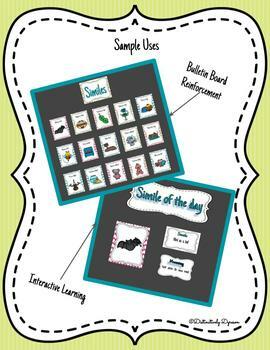 This product has been designed for helping students gain a better understanding of similes, through the use of images. It can be used as a quick, daily tool in which students have to identify the idiom in the picture and define what the idiom means. 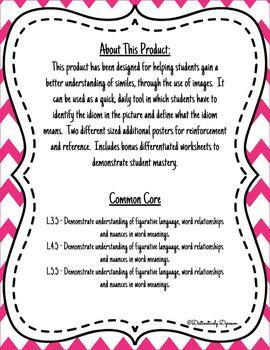 Two different sized additional posters for reinforcement and reference. 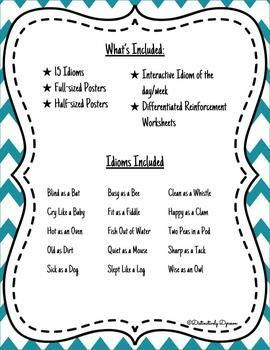 Includes bonus differentiated worksheets to demonstrate student mastery.